Lunch: Monday - Friday: 11:00am - 4:00pm; Dinner: Sunday - Thursday: 4:00pm - 9:30pm, Friday - Saturday: 4:00pm - 10:30pm. $3 Valet parking is available on many nights. 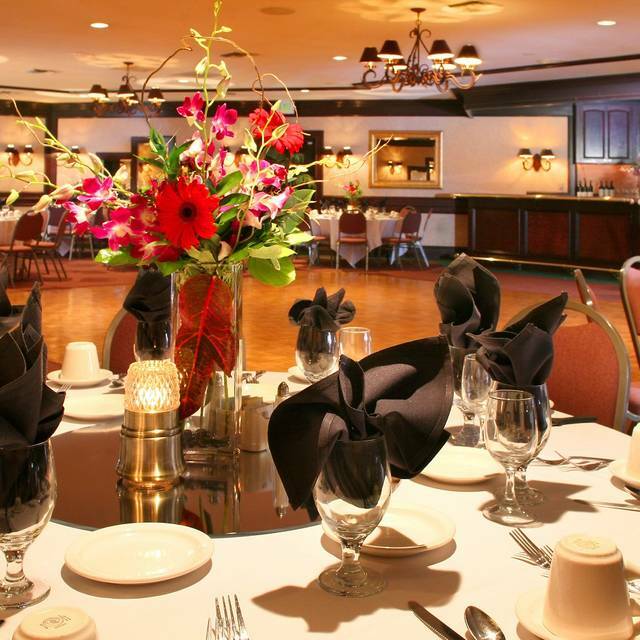 Elegant Banquet Facilities available to accommodate all of your party needs- Wedding receptions, Rehearsal dinners, Holiday parties and luncheons, Retirements, Corporate events, Military parties, Breakfast, Lunch, and Dinner events from 25-200 guests. Private Dining options available for groups of 25 to 200. Please call 858-565-2272 for details. Reminiscent of a classic Chicago-style steakhouse, The Butcher Shop features only the finest quality mid-western aged steaks and chops, charbroiled to perfection over a mesquite wood-fired grill. In addition to the USDA Choice & Prime Beef steaks, the extensive menu also is highlighted by Angus Prime Rib, slow-roasted to retain its tender juiciness, as well as veal, chicken, lobster tail, king crab legs, and shrimp entrees. 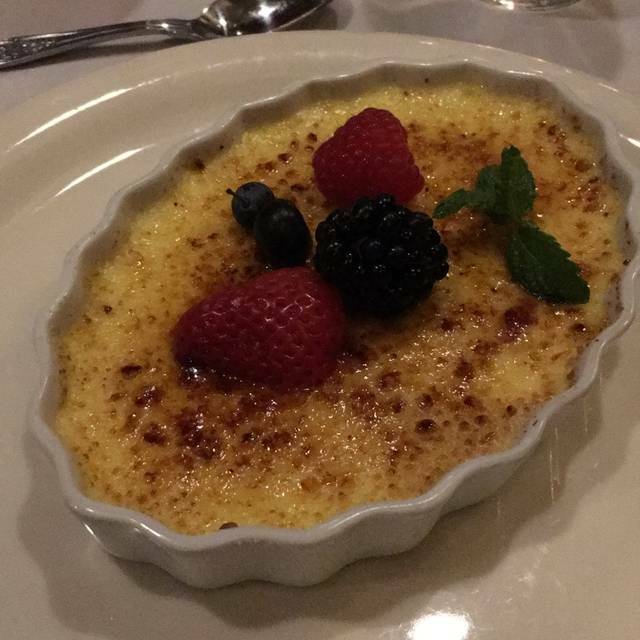 The dessert selection is nothing short of decadent, and there is a full bar and excellent wine list. The ambiance is elegant, warm, and intimate with rich dark wood paneling, comfortable leather booths, gleaming brass, beautifully etched-glass panels, and a cozy fireplace. The gracious and attentive service staff will anticipate your every need and ensure that your dining experience exceeds your highest expectations. Whether you visit for lunch, dinner, or just cocktails & appetizers in the lounge, you will soon list this among your favorite dining destinations. We're offering dinner from Noon to 9:00 PM on Mother's Day, and we're looking forward to serving you! I took my uncle for his 63 bday today. The service and food was a 10 out of 10! Great comfortable restaurant. Good food and service. This is the LAST nice restaurant in Kearny Mesa. Kearny's is gone, Black Angus is gone, several others as well. We can only hope Butcher Shop carries on. White tablecloths, good service, first class wines, and a very affordable early bird special. I have my company Christmas dinners here every year, and bring my clubs here for their annual banquets also. Great atmosphere, seated in a booth near the fireplace, off the bar. Dinning was early for a Saturday at 4:30 p.m, therefore it was quiet. Steaks cooked to perfection! Only thing missing was the server forgot to ask if anyone would like fresh ground pepper for the salads and we noticed he didn’t offer fresh ground pepper to any of the other diners that arrived after our table was seated. Still a great value and meal! Can’t wait to return. Unorganized check in, seated 10 minutes after reservation. My wife really enjoyed the prime rib, but I was disappointed with my NY strip. Great waitress - A pro! We go here quite often. We had to wait for our table for a bit. Once seated the waiter was not very attentive, which is unusual. We always like their table prepared baked potato but they have changed that and bring you the fillings in individual cups now. Otherwise, always a great steak can be had here. We were very excited when we got to The Butcher Shop and were seated next to the very romantic fireplace in a cozy room off the bar. However, this quiet ambiance did not last long. About five minutes into our dining experience, a group of four businessmen were seated in the table next to us. In no time, the once romantic experience turned into a who can tell the loudest, most outrageous stories to their table. We couldn’t carry on a conversation between ourselves because of the “one upping” at the next table. When our food arrived, we quickly ate so as to leave the headache inducing environment. I realize this is a public dear, but the seating was WIDE open. Those men could’ve been seated in the other less intimate room so they could carry on without disturbing others trying to enjoy a pleasant evening out. This place is great! Steak is always perfect and service is outstanding. I always recommend this place to friends. The food was excellent as well as the service, the only downside was the parking. There was such a long line to get into the parking lit and only one attendant. We ended up having to pull out and find street parking. We were meeting two other couples from out of town and parking was just as bad for them, it certainly didn’t leave a goid impression. Great deal on the sunset dinner, table was ready, staff was great, food was great. Old school ambiance! Onion rings are excellent, filet medallions were delicious! Booth seating is very comfortable. Server knew her job well, busser was very attentive, manager was super nice. Great restaurant for special occasion or if you want a great dining experience with a reasonable price! Prices shown on menu on open table are not the same as in the restaurant. Had a wonderful birthday celebration. Steaks were perfect as usual. Definitely the best value for perfect steaks. Never disappointed. Service was excellent. The dinning room ambience was wonderful, and much quieter than usual although many dinners. Can’t wait to go again! I have been eating at the Butcher shop for a very long time and it never fails to satisfy. I look forward to my next visit. Absolutely fabulous, I couldn't have asked for anything better, it was simply perfect. I had made reservations for my husband's birthday since I didn't want to leave it to chance that we might get a table. When we arrived we were seated at our table for two right next to the fireplace. What a wonderful, perfect evening with the most delicious dinner. Thank you for making a special day, so special. While out of town, I ate at Butcher Shop Steakhouse with co-workers and was so impressed that I ate there the next night. 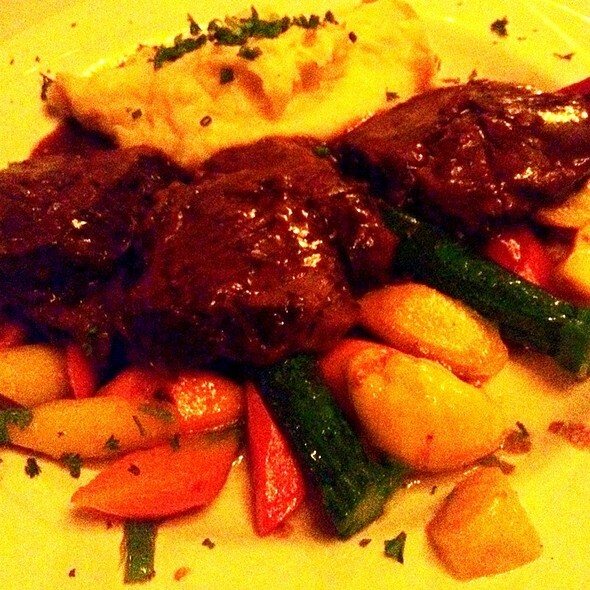 I loved the classic steakhouse vibe, service was good, and the food was outstanding. 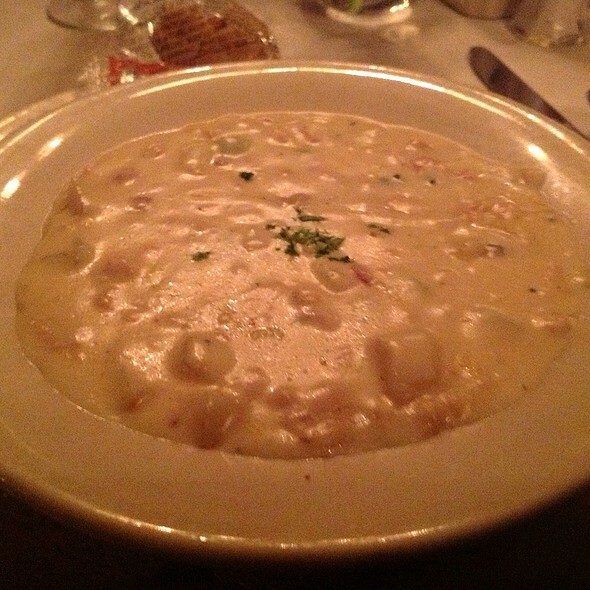 Mains come with soup or salad, and include veggie choices, not a la carte like most steakhouse chains. Even better, prices were much more reasonable. The first night several of us had fish and the others - including me - had steak. Everyone loved their food. My filet was perfectly cooked and the spinach salad was one of the best I have every had. The mixed vegetables were cooked al dente and seasoned well. On the second night, I had a beefsteak and onion salad with blue cheese crumbles, halibut with a wonderful lemon butter and caper sauce, together with fresh asparagus. The salad was on par with Peter Luger’s in New York and the halibut was the best I have ever had. My only knock was, on the first night, some plates were cleared before everyone had finished, but that was minor. I travel to San Diego quarterly and I will definitely eat here every trip. Total pros - great food - an SD dynasty! We always enjoy our meals. The prime rib was perfectly cooked. 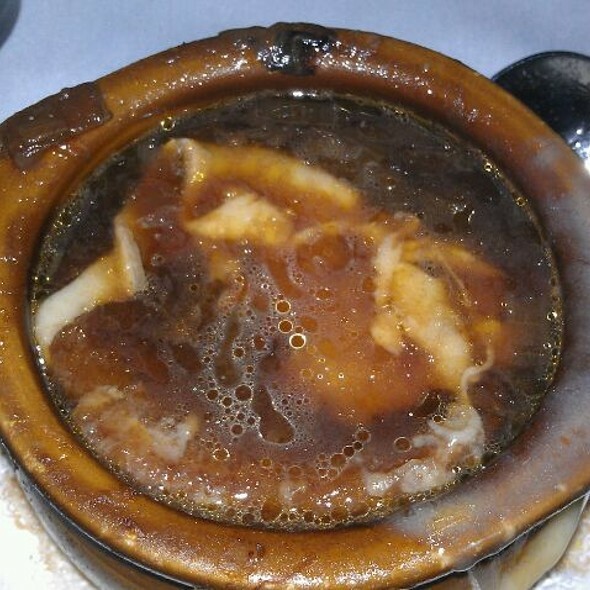 The restaurant offers an upscale dining experience with an extensive menu of choices. The décor incorporates photos of celebrities from the 40s-60s adding to a sense of nostalgia with soft music and lighting. The service was excellent and I'm looking forward to another visit soon. Great meal. A couple of prime ribs cooked perfectly. A filet with baked potato and spinach salad. Very good. Seared Ahi and Caesar salad delicious. Overall good experience. When we went we got poor service, it was not too crowded. They do have good steak but so do many other establishments in San Diego. 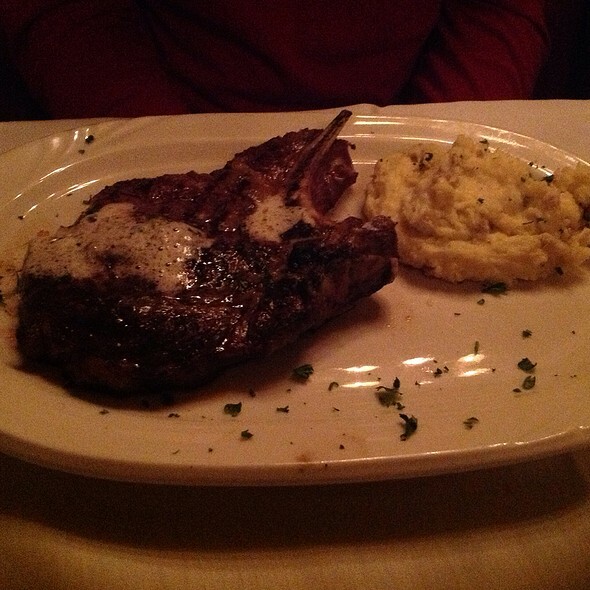 It hits between Black Angus and Ruth Chris. Good, not great, not terrible either. Butch Shop is old, you know what your going to get. Salad was limp, prime rib was tasty but not cooked well. My daughter had the crab legs and said they were good. Husband had the rib bits and they were only served well. Bread was delicious old school garlic bread. Great food and service. 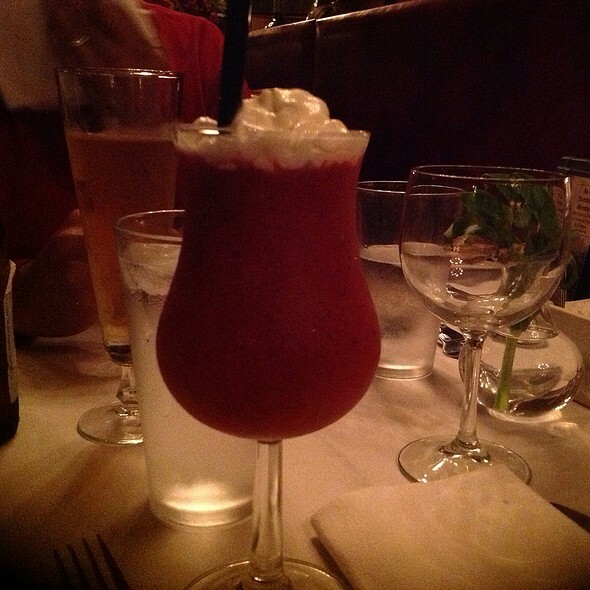 Atmosphere was loved by my husband, was like being in a movie with the plush booths and old Sinatra type music. Bartender had an attitude when asked to make a virgin Pina Colada, and virgin margarita. I won't go to BS again. Always worthwhile and enjoyable, but getting pricier. Alcohol is the main culprit..
My wife and I normally celebrate special occasions here. 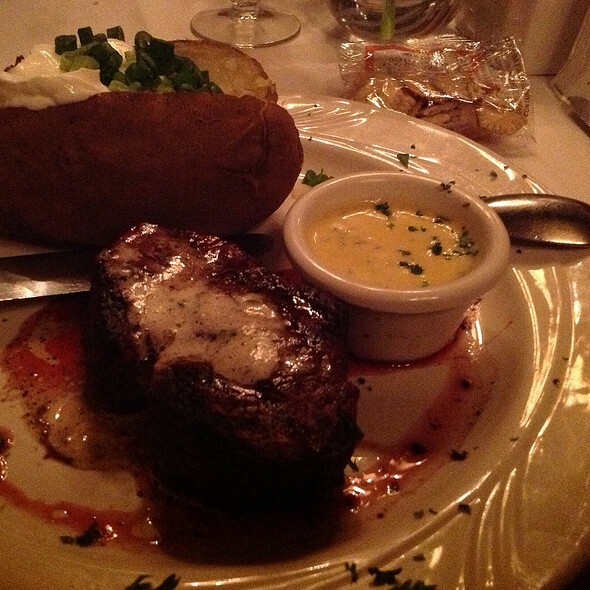 The peppercorn filet mignon and prime rib are our favorites. Sometimes it gets a little noisy, but that’s just people enjoying themselves (it was Friday night). I noticed the noise dies down a little later in the evening. they were extremely busy, but got me to my table, produced a great waitress Sylvia, and got us in and out in time for our theater time without a problem. love when that happens! It's nothing fancy. A classic old school steakhouse. Nice atmosphere and friendly staff. Good cocktails and a nice selection of wines. 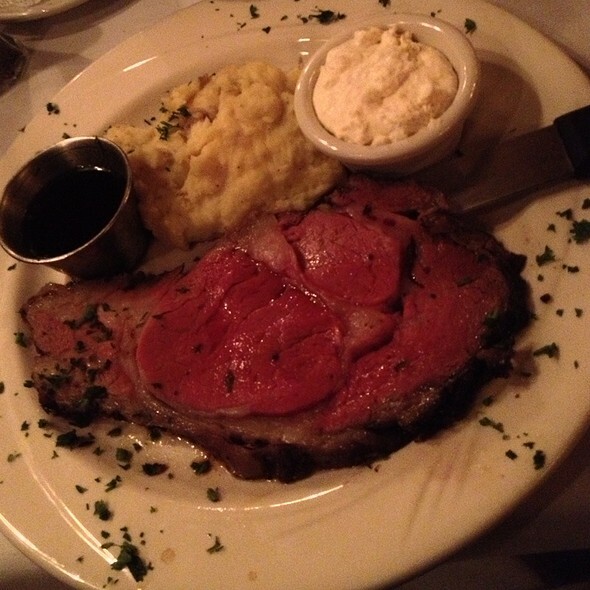 I had the prime rib and found it to be perfectly seasoned (as opposed to some steak houses I've been to where they over-salt their prime rib) so in this instance you tasted the actual flavor of the meat. The prize of the night however were the skillet of mixed mushrooms in a bordelaise sauce. Outstanding. I doubt I'll be in that part of San Diego too often, but if I do, I'll be sure to dine there again. We arrived at 5:45 just in time for the early bird special, which is $22.00 for a 3 course meal, you need to order prior to 6pm. We had salads and then dinner. I had the chicken scallopini, my husband had the prime rib with garlic mashed potatoes. And then we had ice cream for dessert. The atmosphere was very romantic, and the restaurant looked like everything had been redone but in the same style as before. We went on a Saturday night and the restaurant filled up quick. We really enjoyed the whole experience! Thank-you Butcher shop. Great ambiance, delicious food, courteous service! First time here and will be back. Hostess, waitress, manger, and staff were all very attentive. Food came fast and empty plates were picked up really fast. Got the combo platter as appetizer and the prime rib bites melted in our mouth. The lobster on the surf and turf special was so sweet and moist. Experience and food were all great! Went for my husband’s birthday, the food was outstanding and service great. I love the ambience of this place. We had drinks at the bar, tasty and great prices. Steak and lobster was delicious. We can’t wait to go back.